At Mike Ward INFINITI, we go the extra mile to ensure that everyone leaves our dealership fully satisfied. We pride ourselves on being a dealership selling INFINITI cars in Denver, Colorado while earning many accolades. That is why so many Colorado luxury car connoisseurs from Denver, Littleton, Aurora, Englewood, and Parker rely on us for all the assistance they need. You don’t have to take our word that we do things better: our friends, neighbors, and national car authorities have confirmed it. The difference with our dealership becomes apparent the minute you arrive. Our showroom looks more like a luxury lounge than a car lot, and it’s appointed with premium amenities to ensure your comfort like a snack bar and private lounge with massage chairs. In this relaxing atmosphere, you can shop for all the new INFINITI models or affordable pre-owned options for sale from several automakers. Most importantly, Mike Ward INFINITI is Colorado’s #1 INFINITI Dealership* (*2018 Colorado New INFINITI Sales – INFINITI West Region)! Our financing team is eager to find you the best possible loan at the best possible rates. Then once you’re on the road, our service department is ready to provide quick but careful maintenance and repairs. While you wait for your service, you can relax in our fireplace-warmed lounge or get some exercise on a loaner bicycle. The staff at Mike Ward INFINITI is eager to show you what a higher level of commitment looks like. 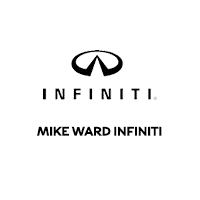 Find everything you need, everything you want, and a lot more than you expect at Mike Ward INFINITI, located at 1800 Lucent Court in Highlands Ranch, CO. We primarily serve the Denver, Colorado market. We sell new, certified, and pre-owned INFINITI cars and SUVs, plus used cars, trucks, and SUVs of all makes and models. Our selection of luxury used cars for sale in one of the best in the entire Denver, Colorado region.